Here at Granville Equipment we manufacture equipment to help farmers reduce labor costs. One of the largest cost in the industrial hemp industry is manually removing flower and bud from the stalk and stem of the hemp plant. 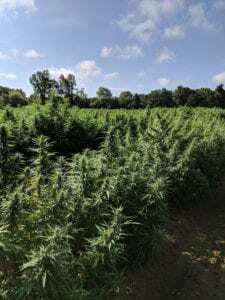 This was a major job for industrial hemp farmers. Stripping by hand is time consuming and less consistent than by machine. So we went to work on designing a machine that would complete stripping and further separate biomass making a product ready for the extraction process. Our Flower Extractor System uses a specially designed rotating drum to remove flowers from an entire plant discarding the stalk and sending the flower material to be further separated on a shaker table. 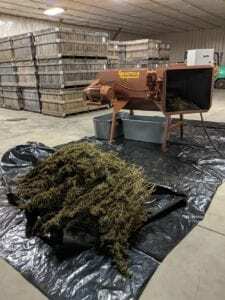 See the machine to strip CBD rich flower from hemp stalk here.